Apart from visiting wineries and wine tastings, you can also find unusual but fun activities in Napa Valley. It offers alternative and off-the-beaten-path fun and entertainment to visitors who are looking for something more different. Want to tour something more fun for your side trip? Do you have the kids with you? You may want to consider visiting the Jelly Belly Candy Company, the home of the organic jelly bean candies. Discover how these colorful and tasty candies are made. This free tour will reward kids (and maybe kids at heart and sweet lovers) free Jelly Bellys! It is located in Fairfield, not too far from the Napa Valley. If you want to see an extraordinary natural sight, the Old Faithful Geyser in the Napa city of Calistoga is guaranteed to take any visitors’ breaths away. Be aware, however, this is not to be confused with the other Old Faithful at Yellowstone Park, Wyoming. Also known as the “Old Faithful of California,” this artificial geothermal geyser remains a popular tourist attraction. Another point of interest near Calistoga is the Petrified Forest, a three-million-year-old forest. It has the world’s largest petrified trees (which include the most famous one named “The Giant”), caused by a volcanic eruption at Mount St. Helena. This ancient forest is now one of California’s historic landmarks which is thankfully well-preserved. Experience African adventure without ever flying to Africa — at Safari West, located right in the heart of the Napa Valley. The safari also serves as a conservation area which protects the African wildlife through active research and projects. Safari West is also a glamping (short for glamorous camping) site, offering luxury tents surrounded by the African wildlife, as well as vacation packages. You may well want to book a reservation to experience the adventure of the authentic African safari with the comfort and luxury of a hotel. Another out-of-the-ordinary fun thing to do in Napa is a hot air balloon ride during sunrise. This is a fun way to play out your “explorer” side — at an altitude of about 2,000 feet. You will see the gorgeous Napa Valley landscape in a new and exhilarating way. Beautiful, neat rows of vineyards are set against the undulating hills and valleys, greeting the warm rays of the sunrise in the cool, crisp morning air. Balloons Above the Valley (BATV) provides the finest adventure you can asked for. 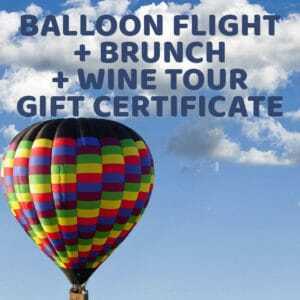 Your excursion will start with a delicious pre-flight breakfast with coffee and pastries, and be followed with a one-hour hot air balloon flight to greet the rising sun over the Napa Valley. Our experienced pilots will narrate the journey by pointing out other places of interest. The journey ends with a delicious champagne brunch, a celebration of a wonderful and successful flight. 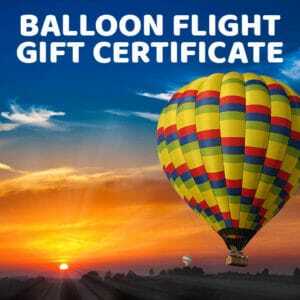 BATV’s excursion will also include a replica hot air balloon pin as your souvenir! Finding unusual fun activities in Napa will reward you with something new to explore and enjoy! This will further incite your penchant for the out of the ordinary adventures in the world-famous Wine Country.